Dr. Catherine Lowe is a board-certified Ophthalmologist in private practice in Palm Beach Gardens. Dr. Lowe was born and raised in Belle Glade, FL and attended the University of Florida and University of Minnesota. Throughout Dr. Lowe’s career, she has been a positive role model, demonstrating a strong commitment to community service. For many years she has taken an active role in health and medical issues on the state and local levels. Dr. Lowe frequently serves as a child advocate, mentoring young students, as well as encouraging and nurturing young, talented visual and performing artists throughout the county. During her 35-year history of professional medical practice and community involvement Dr. Lowe has watched the community grow in the cultural arts arena, with greater recognition of our diverse populations, and has worked with others who continue to strive for this kind of positive growth in other arenas here in South Florida. From civic, professional and social fund-raisers, medical missions to third-world countries, local and national health-fairs, Dr. Lowe has diligently contributed or given a helping hand to alleviate pain and suffering or put a smile on despondent faces to make the world a better place for us all. 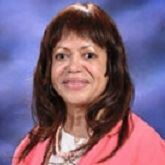 In addition to TLJMS, Dr. Lowe is dedicated in service to Artists Showcase of the Palm Beaches; International Women’s Forum; ICABA; Coalition of 100 Black Women, WPB Chapter; the L. S. Class of ’68; the Palm Beach County Medical Society; the Palm Beach Cultural Council and St. Paul AME Church. Patients are seen weekdays by appointment.